The next generation is next level. Groms under 17 are proving to be just as committed and daring as veterans on the Championship Tour, with a fresh and unstoppable attitude on top of it. Lucky for us, a lot of the most impressive up-and-comers were born and raised in the islands, and they’re ready to show the world that title winners like Derek Ho, John John Florence, and Andy Irons were no fluke. One young gun following right in the Irons brothers’ footsteps is Sammy Gray, a laid-back kid from Hanalei who has a fierce rail game and an innate need to be riding deep in any barrel he can find. 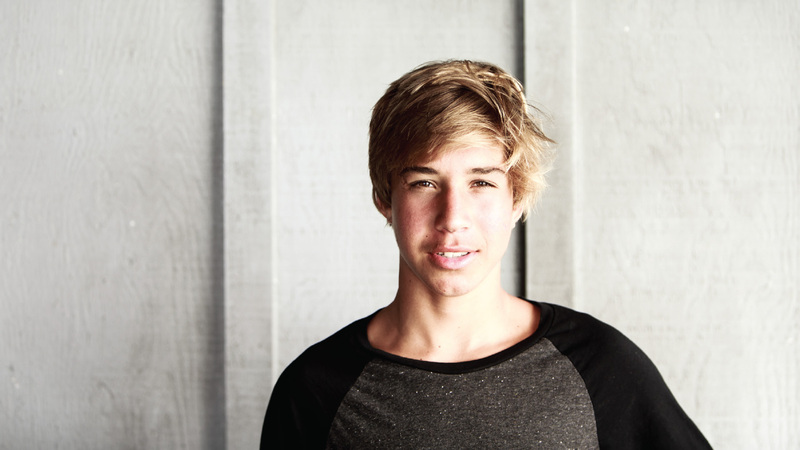 Billabong noticed his talent and picked up the Kauaian before he even hit his teens. Paling around with – and regularly competing against – Team Billabong’s other outrageously bright rising stars is driving Gray further in his performances, giving him a firm support system as he steps up his air game to match his rail work and tube riding. We last saw Gray in competition on Oahu at the Pipe Pro Junior, where he cracked the semifinals but was ousted by close friend and teammate, Finn McGill. The 5th this year is an astronomical leap from his 25th place finish in the same contest last year, proving this kid is going places faster than a speeding bullet. The local ripper answered a few questions for us from his first trip to Fiji, and he showed us that not only does he know how to keep surfing fun and mellow even in the heat of competition, but he also can be trusted to keep the lid air-tight on his favorite spots and protect those sacred sessions with the boys. Tell me how you first started surfing, Sammy. I first started surfing by my dad pushing me in at little waves all over Kauai’s North Shore. I don’t remember my first wave, I was pretty young. What’s your favorite maneuver and what are you currently working to improve? My favorite maneuver is definitely getting barreled. I’ve been working on my air game a lot lately. What are you goals in surfing? To make a living out of surfing and have fun doing it. I mostly just stretch with my mom, run the beach, and do breathing exercises. When did you first get signed with Billabong? I first signed with Billabong at 9 years old, so I’ve been riding with them for five years now. Billabong is my first sponsor. What’s it like being a part of Team Billabong? It’s awesome! Everyone is really supportive and welcoming. Who are you closest to on the team and who on the team are your biggest inspirations? Some good friends of mine on the Billabong team are Brodi Sale, Ocean Macedo, and Finn McGill. My biggest inspirations on the team would definitely be the Moniz brothers. What was the most fun part of the Billabong Grom camps on Oahu? Watching everyone go over the falls at Keiki! What are your favorite breaks in Hawaii, any island? What are your favorite places to travel to surf? The North Shore of Oahu and Mexico. You’re currently in Fiji — how’s that trip and is it impacting your surfing? My friend and I are on a surf trip in Fiji with my mom. I’m not sure yet how it will change me but I’m having a great time so far. What’s in your Fiji quiver for the trip? I only brought two boards: one 5’8 and a 5’6. You’ve listed Andy Irons as one of your biggest inspirations. Tell us about what the Irons Brothers Pine Trees Classic does for Kauai. This contest is one of, if not the, biggest surfing event on Kauai. It brings everyone together and it’s just as much of a celebration as a surf contest. How old were you the first time you competed in it and how did you do? I was 7 when I first competed in the Iron Brothers Pine Trees Classic, and I think I placed 6th that year. I’m not in it this year because it’s a 12 and under contest and you can’t do it if you compete in HSA or NSSA, but I was still hanging out at the contest all day. What’s your proudest moment in surfing so far? Surfing perfect waves with just the boys out.